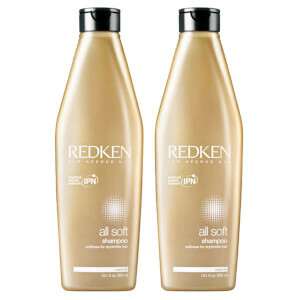 For the ultimate weapon in the fight against dry and brittle hair, try Redken All Soft Shampoo. It cleans with an ultra-rich formula that will intensely soften and smooth your hair to leave it feeling like pure silk. 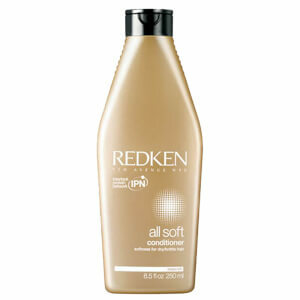 Apply Redken All Soft Shampoo to your wet hair. 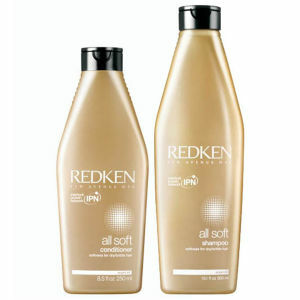 Follow with Redken All Soft Conditioner. I have been using this shampoo on my fine coloured hair for 3 months now and my hair is lovely and soft. The all soft products have changed my 30 something hair from being slightly "doll" like to super soft ! I've dyed my hair all my life - these products have made my hair so happy! I have used Redden products for over 25 years and I am always complimented on how nice my hair is , but I do look after it , all soft products are wonderful your hair feels silky smooth and smells gorgeous too ! Only a small amount is needed per wash as it's quite a thick shampoo and is good quality that gives a good lather . Very happy with my product and would recommend it to anyone . I've been using the Redken Frizz Dismiss line before, wanted to try out something new. This shampoo is great, does the job, smells nice, leaves my hair soft and not heavy at all. So it's really good, but just not life changing. ***I wanted to edit my post from yesterday because I forgot to mention a few things but sadly can't do this so another one is here. *** I usually wash my hair on 3rd day but now on 2nd it already before noon looked like tomorrow towards evening would (greasy). Also I noticed dandruff since I started using this shampoo. Used other shampoo in between just to be sure, all okay, then this one again and I could notice that and scalp beeing more itchy. I was really disappointed with this product. I really like one from them that I've already mentioned but sadly this one is just terrible for me. I am not very satisfied with the product. It is nothing special - quite average, like drugstore ones, but on the pricy side. I was expecting much more since I've read so many positive reviews.. Sadly, it makes my hair more fluffy but in a bad way (have wavy/curly hair and locks are terrible after using this and everything is more messy - looks like curls that are combed with hairbrush and are then ruined). Also ends are dry - I am using a very good and professional conditioner yet this anyways happened with this shampoo. 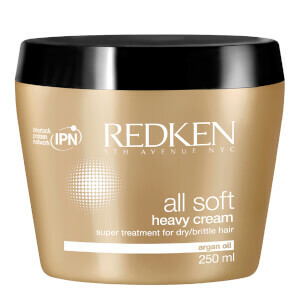 It is nothing compared to Redken Extreme that I've tried before it, which convinced me to try other ones from them to begin with but I am not sure anymore since they aren't as cheap for me, especially if they don't work. Therefore, I would not repurchase because it doesn't do anything for my hair but was a money wasted. Smell is midly tropical - also not my thing. This is a shame, as I was really looking forward to trying this product, but have used it twice and find it has really dried out my hair in comparison to the shampoo I was using before (Redken Curvaceous). I would not buy this product again. This product has never let me down! The shampoo and conditioner work wonders together! It will leave your hair feeling lush!